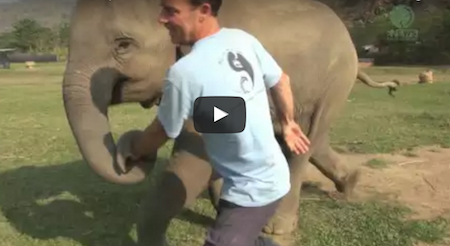 See What Happens When This Elephant Spots Her Favorite Human! They say an elephant never forgets, and this video proves that especially true when it comes to the pachyderm’s friends. Kham Laa is a young elephant who was rescued and reunited with her family at the Thai elephant sanctuary. Since then, she’s become quite fond of one of the reservations employees, Derek, who treated her so kindly when she first arrived. Clearly, she wants to return the favor as much as she can. Watch what happens when Derek comes by for a visit. There’s Actually A Right Way To Fold Socks, You’ve Been Doing It Wrong This Entire Time!